In a previous post (see An Iconic Image of Deterministic Chaos, February 23, 2013), I shared a Scratch project that used mathematician Michael Barnsley’s Collage theorem to compute the Sierpinski triangle. 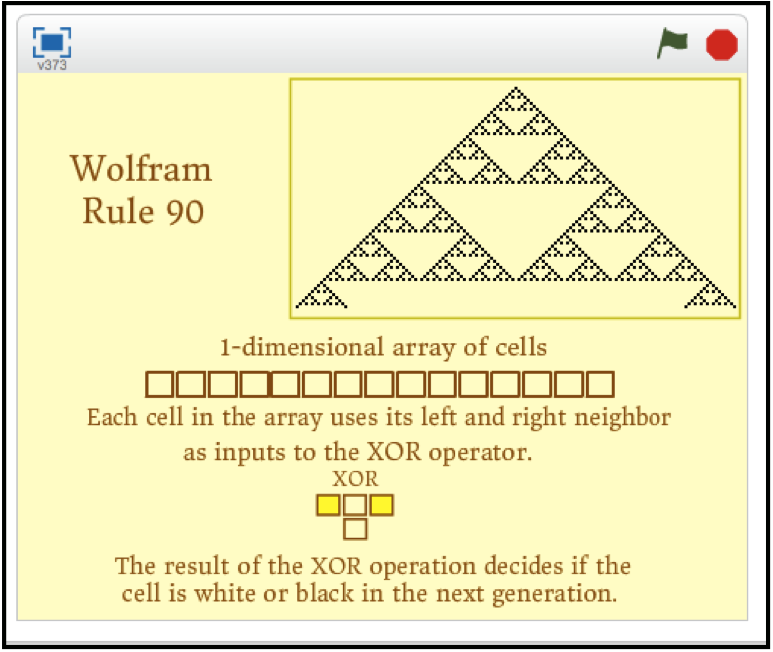 (5) by using Wolfram’s linear cellular automaton, Rule 90. 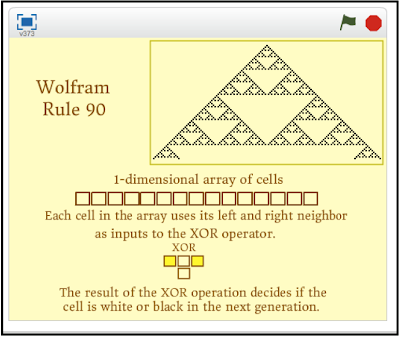 It’s the last method, Wolfram’s Rule 90, that is the subject of this post. Here is Rule 90. For any three-cell group, the state of the center cell, in the next generation, is determined by the black and white pattern of the three cells. Examine Rule 90 and you will find that the center cell transforms to a black cell in the next generation if the XOR operator (black = 1 or white = 0) of the left and right cells returns a 1 (black). You can view this project in action by clicking on this link. 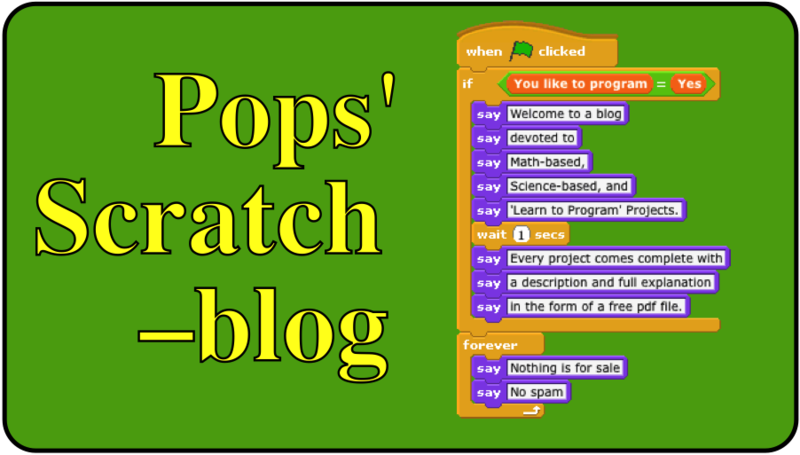 You do not need to have Scratch installed as the program will run in your browser.